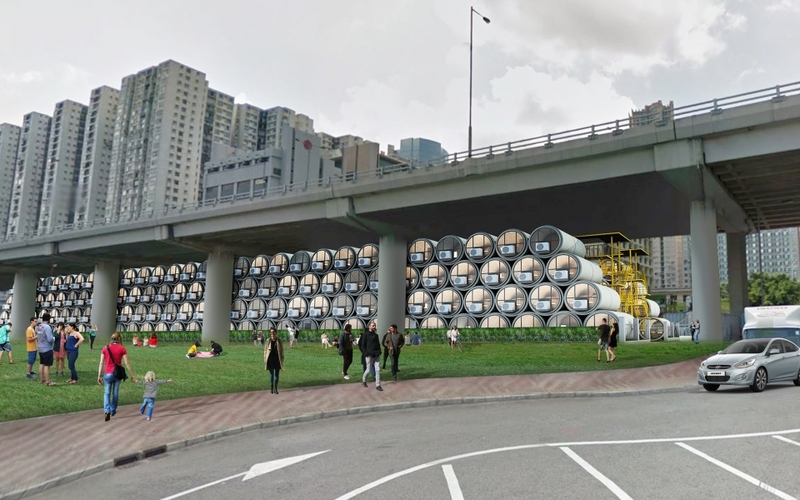 OPod Tube Housing can provide 250 living units under every 100m of elevated highway in Hong Kong. Every 100m of elevated highway in Hong Kong can provide up to 250 living units using the OPod Tube Housing system designed and proposed by architects James Law Cybertecture. Hong Kong has an estimated 200km worth of flyovers and elevated highways, which could yield theoreticallly 500,000 units of affordable housing unit. This represents an opportunity to create affordable and fast housing for many people who struggle to afford expensive housing in Hong Kong.